At Prodigy Office Furniture, we thrive off customer satisfaction and wildfire word-of-mouth. We don’t consider a job complete until our clients are completely satisfied. The team at Prodigy Office Furniture really are second-to-none. Whenever we’ve needed advice, they’ve been there for us to provide invaluable real-world experience. Particularly as our office environment is incredibly ‘different’ and there have been many instances where we require niche furniture with requirements that would leave others scratching their heads. No matter the challenge, Prodigy Office Furniture have always provided us a solution that is both effective and budget conscious. Over the past four years working with Prodigy Office Furniture we have only ever required after sales support once, and they were onsite within the week to remedy the rather minor inconsistency. I am very thankful for their continued help and would highly recommend to others. Very helpful on picking the right items for my office size and layout. Delivery was quick and installation was very professional. Communication was great through the whole process. 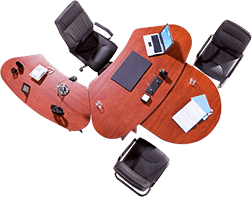 Prodigy Office Furniture were great to work with and I would not hesitate to work with them again in the future. Fantastic staff. Very friendly service and knowledgable on their products. There is no challenge that Andrea & the team at Prodigy can’t handle! Thanks so much for taking such good care of us over the past 5 years we have worked with you. Daniel’s service has been exceptional our showroom at our dealership looks fantastic thanks to the chairs and office furniture he has supplied. Can not sing the praises of this professional outfit enough. They pulled out all stops to ensure we received our office furniture in record time. It was being custom built for us and we had a deadline to meet. This was not a problem for Andrea at Prodigy. I was super impressed with the way they assembled the desks in amongst the building works and all with a smile. I would highly recommend this company and we will be going back when we need more items. The desks look amazing and have brought the office up to date and we have already had great feedback from visitors. Good value and nice to deal with such a pleasant family owned company.